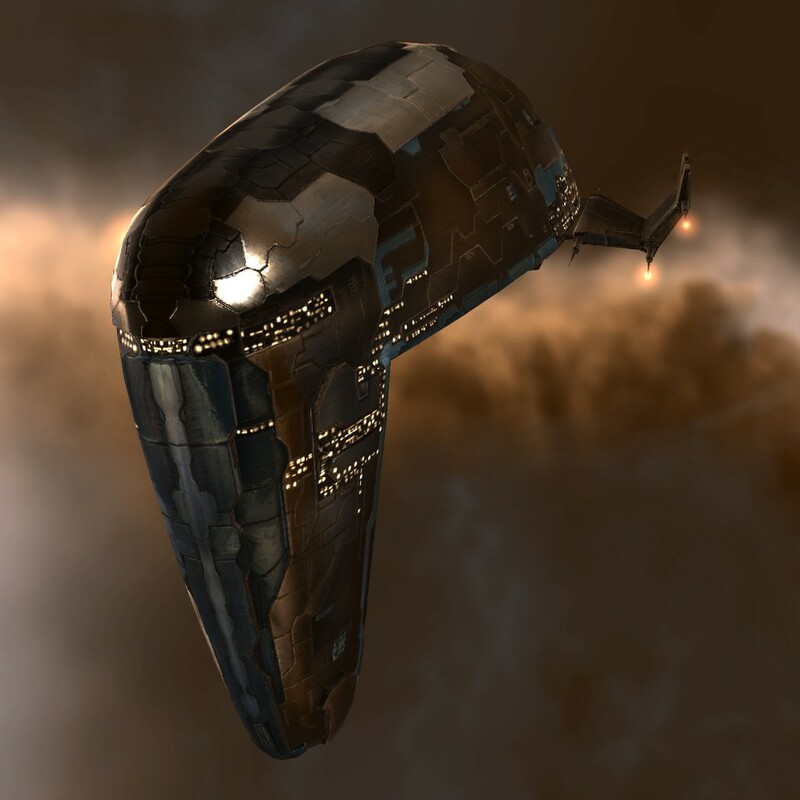 Continuing our shuttle-run through EVE lore, Mark726 guides us through the many minor factions that play a part in the fabric of New Eden. This is the first of three parts. For most video game companies, the four major empires, with their expansive backstories, would have been quite enough for their content teams. They could rest on their laurels for a job well done and some information to put in their tiny instruction manuals (remember back in the day when they gave a ton of background? I miss that), and carry on with their lives. Fortunately for us canon geeks, CCP is NOT like most video game companies. Beyond the four major empires, the Jove, and CONCORD, there are a rich number of smaller factions that, while you can’t necessarily play them as a bloodline, fill in more of the tapestry of New Eden (and let people get their yarr on in quite a few different ways). I won’t be spending nearly as much time on these smaller powers as I did for the major empires, but each of these have their own unique storylines that deserve at least some mention. I’ve actually mentioned the Ammatar before in the sections on the Amarr and Minmatar. Originally known as the Nefantar, they were the only Minmatar tribe to accept the Amarr invasion with something like open arms. Indeed, this was something of a political decision made by the heads of the tribe to ensure the Nefantar’s survival. Eventually, the rest of the tribe came to embrace the Amarr way of life, including their religion. The Amarr, eager to promote such views, lavished money and gifts on the tribe in their home constellation of Ani, while savaging the tribes who were less, shall we say, multicultural in that respect. The contemporary Amarr emperor even granted the Nefantar limited autonomy over Ani. This led to a somewhat inevitable schism between it and the rest of the tribes. But all was not well between the Amarr and the Nefantar, at least in the higher levels. The largest break came when the Amarr bombarded Starkman Prime into ash. Even the Nefantar couldn’t take such a direct assault on one of the Tribes. And so they began one of the greatest cover ups in New Eden history. Almost all known Starkmanir slaves were transferred to Nefantar authority through either forged documents or coercion, hiding the remnants of the tribe in plain sight. It was by no means a perfect solution, but it was the best possible under the circumstances. But, of course, the Nefantar leadership couldn’t exactly brag about their accomplishment. Although they apparently had the blessings of the Minmatar Elders, one of the greatest rescue missions in known history had to remain a secret for hundreds of years. The Ammatar leadership now claim that rescuing the Nefantar was their primary reason for siding with the Amarr during the Rebellion, but given the strength of pro-Amarr feelings even prior to the Starkman apocalypse, that explanation has a bit of a “revisionist history” feel to it. During those hundreds of years, of course, the rest of the tribes rebelled and pushed out the Amarr from their space, along with their apparent lackeys, the Nefantar. The Amarr, in consideration of the support received even during the Rebellion, granted the wayward tribe some space (conveniently, and completely coincidentally I’m sure, located to act as a buffer zone between the newfound Republic and the Empire) and set up the semi-autonomous Ammatar Mandate. 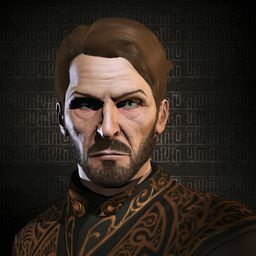 The Mandate has its own nominal Amarrian governor (currently the Heir Yonis Ardishapur) and its fleet is under the control of the Empire, but they also have several direct links to Jamyl’s Imperial Court to ensure Ammatar concerns are heard. As noted, the Ammatar’s hiding of the Starkmanir came to light only in the past few years. During the Elder Fleet Invasion of YC 110, the Elders made a stop in the Mandate to pick up most of the Starkman survivors as well as any Nefantar who wanted to return to the Republic. Even the head of the Mandate encouraged the Ammatar to return. Today, the Mandate still stands in a bit of a state of shock as it tries to regain its footing. Although many Nefantar decided to return, the Mandate itself survives and many have chosen to remain under Empire protection. One of the more established of the pirate factions, the Angel Cartel’s main base of operations is in the Curse region. Little is known about their history or structure, other than that there are four main divisions of the Cartel: the Dominations (the command branch of the Cartel), the Archangels (the main combat arm of the Cartel), the Guardian Angels (whose sole purpose appears to be guarding Serpentis assets), and the Salvation Angels (maintenance and repair division). The Cartel has extensive holdings throughout the Empires, but mainly focus on the Minmatar regions, where they gain most of their recruits. Many Matari that join are disaffected by the Republic, but recent changes (most notably the recovery of the Starkmanir and the Elder Fleet invasion) have noticeably slowed recruitment efforts. Still, this hasn’t yet seemed to harm Angel holdings, which include significant control over the Caldari “grey market” (bringing in illegal, competing products to the megacorporation’s own enclaves). They’ve also been known to work with the Sisters of Eve (described below) in humanitarian missions (per The Burning Life). There are even some rumors saying that they’ve managed to acquire examples of Jove technology to integrate into their ships, but for obvious reasons the Dominations haven’t chosen to divulge that information. Given the fact that Curse is the home of the First Jovian Empire, however, such rumors may not be all that far off-base. It might surprise you to know that there is an even darker side to an already dark religion that allows and even encourages slavery of sentient beings. An offshoot of the mainstream Amarr religion, the Sani Sabik (some call it a religion of its own, others call it a cult) agree with the main religion that some people are born great, while others must serve those born to greatness. Where the Sani Sabik differ, however, is the use of blood in many of their rituals in order to obtain either physical or spiritual immortality. Rituals vary from sect to sect, but the more “mainstream” portions of the religion tend to use blood donated willingly by its own members. Other portions believe that only blood taken from the unclean and unperfected will do. The Sani Sabik have been exiled a number of times from Amarr space (one such exile apparently leading to the creation of the Takmahl, so think about THAT next time you’re in Araz), but like any good pest, the Empire seems incapable of eradicating them. The more militaristic of this subset of a subset of a minority join the Blood Raider Covenant. These raiders ply the spacelanes, mostly focused on getting the blood of capsuleers (though they will not turn down a passing unarmed ship) for their rituals. The Covenant, and the Sani Sabik in general, have long had friends in the upper levels of the Amarr imperial court. Most recently, the former Court Chamberlain Dochuta Karsoth scandalized Amarr Prime when, after the Elder Fleet invaded, he ran to the Covenant for protection. A long history of collusion was discovered, and Karsoth was eventually captured and executed on Empress Jamyl’s order. Since then, the Covenant has been set back on its heels a bit, but the Covenant and the Sani Sabik sect continue to have small, but significant support throughout the Empire. A minor player in a host of minor players, the Equilibrium of Mankind nonetheless has a notable role playing contingent, as well as a surprisingly well-developed (if slightly historically inconsistent) backstory. The order, like the Blood Raider Covenant, is a split off sect of the Amarr religion. The sect was started by Ocilan Ardishapur, the brother to the Ardishapur Heir at the time. Ocilan’s sect split off about 5,000 years ago, however, when ancient texts were discovered. These texts had a profound effect on Ocilan. The texts spoke of the downfall and doom of humanity should it decide to remain where God has forbidden it (meaning New Eden, of course). Only those who help to reconstruct the “pathway to Heaven” can be saved from God’s wrath, as this was the only path to salvation. The texts were quickly declared apocryphal by the main Amarr church (the irony, of course, being that this probably refers to the destruction that befell New Eden after the collapse of Eve Gate and an attempt to rally people to reconstruct the gateway home), but Ocilan (a wealthy and charismatic fellow) managed to gather a substantial following, calling itself the Equilibrium of Mankind. The main Church, worried at his surge of popularity and uncomfortable with his message, exiled him from Ardishapur Prime. They established a new colony, and Ocilan, originally thought assassinated, declared war against all who didn’t join him in Equilibrium. Since then, the EoM continue their war against the rest of the cluster in obscurity, though they apparently have been making a comeback in recent years. The Guristas Pirates are perhaps the one pirate group that like to yarr for the sake of yarring. Founded by Jirai Laitanen and Korako Kosakami in YC 86, the Guristas have a bit of a colorful backstory. The two met each other while members of the 37th Squadron (apparently, the Octopuses) of the Caldari Navy. Within the span of a week, Laitanen was passed over for a promotion (despite having an apparently promising career) and Kosakami was blamed for a fatal crash landing. These injustices were the catalyst needed for the two friends to steal a pair of Condor-class frigates and desert the Navy, heading off to the lawless lands between the Caldari and the Gallente. They quickly set up their own pirate organization, and have been spreading terror under their nicknames: Fatal and the Rabbit. These days, the Guristas are known for being one of the few pirate organizations willing to hit colonies in civilized (high security) space. They are also known for creating civilian mining colonies and protecting them with their own security forces. Like the Angels, they have a sizeable share of the Caldari grey market under their control, and also run an illegal currency exchange. 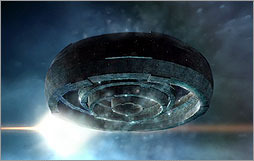 The Guristas also played a major part in the collapse of the Crielere Project, a joint Caldari-Gallente research initiative that, among other things, produced the basics for cloaking technology. Tensions between the State and the Federation rose to such a degree that, after it was revealed the Caldari had pilfered some of the blueprints, both sides quickly withdrew protection and funds from the Project. From there, the Guristas swooped in, raiding the station not once, but twice. They made off with the two top researchers, who eventually perished. The Angel Cartel is a minor power? Sir I am hurt D: Actually, wait, keep on thinking that, may pan out advantageous. Well from the EVE newcomer's point of view, they're minor in comparison to the four established political powers as recognised by CONCORD. I understand that it is far more nuanced than that and there is a huge variation in power and influence between some of the organisations that have fallen under our "Minor Power" label. Sansha's Nation are hardly minor given the constant military presence they are able to exert. Perhaps we could have gone with "Fringe Organisations" or similar, but that's a little unclear. For the record (and to prevent Myrhial hunting us down), The Angel Cartel is a major Minor Power. I think Templar One referred to them as frontier organization. All references to "minor power" have now been changed to "frontier organization" as suggest by Thomas Parker. It sounds far more enticing for any player wanting to get involved with them. Well, apart from the "Minor Powers, Mighty Aspirations" subtitle, cos I like it. RAWR!